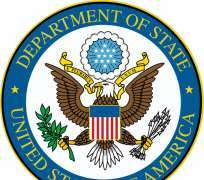 The United States strongly condemns the recent violence in and around Menaka, Timbuktu and Goundam, Mali. We call on all parties to immediately cease hostilities and return to their previous positions in compliance with all applicable ceasefire agreements. This violence is an obstacle to peace. We recall that in statement by the President of the United Nation's Security Council on February 6, 2015, the Council expressed its readiness to consider appropriate measures, including targeted sanctions, against those who resume hostilities and violate the ceasefire. The United States urges the parties to seize the opportunity offered by the peace process, in which all relevant regional and international partners are involved, to support build a lasting peace in Mali. We reiterate our strong support for the United Nations Multidimensional Integrated Stabilization Mission in Mali (MINUSMA). Recognizing the legitimate aspiration of all Malians to enjoy lasting peace and development, the United States emphasizes that all parties have a responsibility to all of the communities in Mali and to the international community to reach a durable peace agreement.